Building a home is an exciting project, but it also presents a host of challenges. Your home needs to be insulated to protect you and your family from the outdoor conditions. 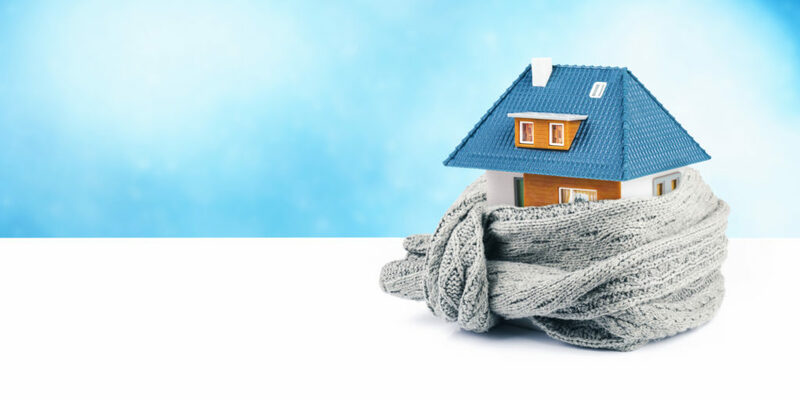 Whether you live in a hot or cold climate, you will need to find the right insulation to ensure that you can live comfortably in your home. Energy efficiency is essential to reducing costs of temperature control and the impact of each home’s carbon footprint. The insulation you choose for your home should be energy star rated. Here you will find a guide to the types of home insulation, their pros and cons, and for which parts of the house they are best suited. The type of insulation you choose will be dependent on a few factors. These include climate, skill level required for installation, costs, and product performance. The R-Value of the insulation will tell you the product’s thermal performance rating, or its resistance to heat flow. Different R-Values are good for different parts of the home, so it important that you understand what this means and how you can use it to build a better, more efficient home. Loose-fill insulation is normally made of cellulose or fiberglass. It is blown into place to cover any nooks, crannies, or other hard to reach places. A specialized machine is needed to install this type of insulation, but it is generally good for enclosed walls and unfinished attic floors. It is good for eliminating cold spots where air might otherwise enter. The R-Value can range from 2 to 4 per inch, and varies by product and manufacturer. Foam insulation usually costs a lot more than other types of insulation. However, it usually has a higher R-Value and can eliminate the need for caulking and other weatherizing tasks. Foam insulation comes in either closed or open cell foam. Closed-cell foam contains a gas that causes the foam to expand and fill any open spaces. Open-cell foam contains cells that are filled with air, giving it a less dense and more spongy texture than closed-cell foams. Closed-cell foam is more expensive, but it is more resistant to water and offers a higher R-Value. Avoid using open-cell foam in any places that may be easily exposed to water, as its spongy texture causes it to be absorbent. These types of home insulation require a certification to install and Good Life has certified spray foam installers. If you need to insulate any air ducts, this is a good choice. Rigid fiber insulation can withstand high temperatures. This is good if you live in a cold climate and use a lot of heat. If you are building a new home or remodeling an existing one, you will likely need to install insulation. Besides wanting to keep your home cool in the summer and warm in the winter, there are some other considerations you may want to consider. Although most manufacturers adhere to health and safety standards, there are some types of insulation that do pose some health risks. Spray foams may contain petroleum or plant-based materials that can cause asthma and other health problems during the curing process. Some fiberglass batts and rolls are manufactured with phenol formaldehyde. Because this is a known carcinogen, manufacturers are starting to replace phenol formaldehyde as a binder with other safer materials. Insulating your house doesn’t have to be a difficult process. However, the type of insulation you choose can impact your energy savings costs. Contact us to receive a free estimate and to find out what types of home insulation are best for you.